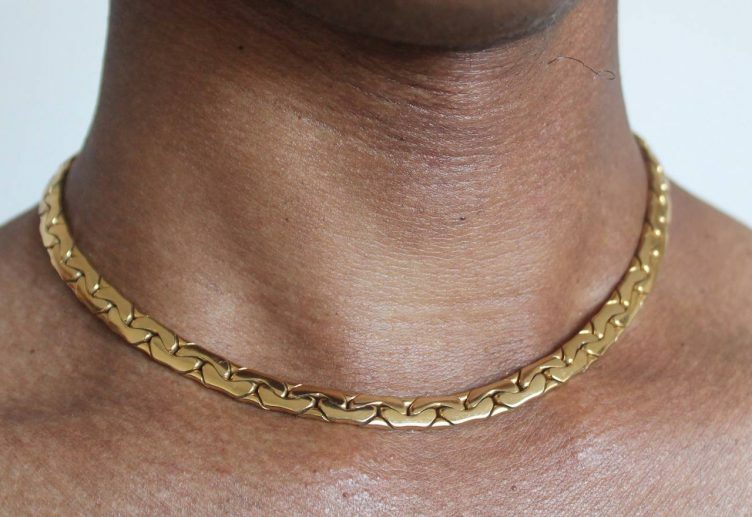 We Found 10 Cuban Link Chains Perfect for the Man in Your Life! Known for being very chunky, the Cuban link chain is one of the most popular and durable link chains available to wear. You may also know them as being called a ‘Miami Cuban Link Chain’. Typical characteristics for a Cuban link chain include being strong, thick and having a flat face. The necklaces are normally made from gold and tend to be very heavy in weight. 14k gold is in fact the most common type of metal used to create a Cuban link chain, however silver and white gold are also available to wear. Gold Cuban link chains continue to be very popular. Commonly made from solid gold and diamonds, the weight of these necklaces is very heavy. 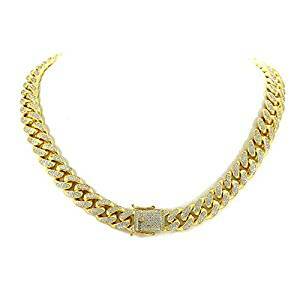 The Cuban link chain represents a luxury fashion accessory which is definitely a head turner on any occasion. If you’re looking for an accessory to wear with your Cuban link chain then a gold Rolex would look perfect! Celebrities who wear a Cuban link chain? The gold Cuban link chain is a popular accessory to wear among male A-list celebrities, particular those that are singers. 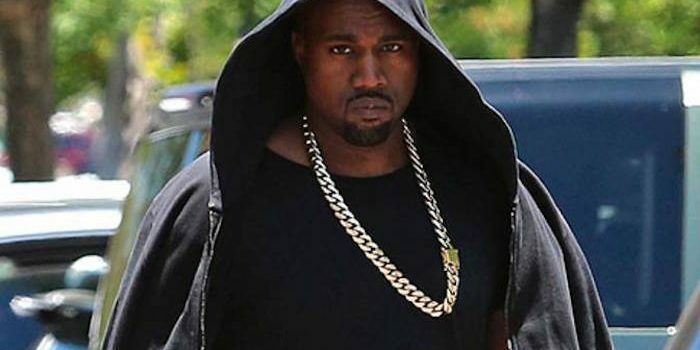 With the likes of Usher, Jay-Z, Kanye West and Justin Bieber all wearing these chains on a daily basis they are firmly putting the accessory at the top of the list for males who want to aspire to be like them. 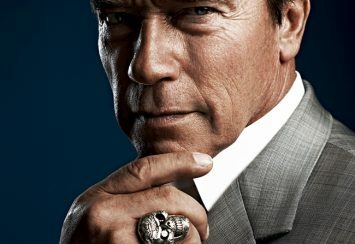 These celebrities are also commonly photographed wearing not just one chain but up to five chains. The thicker and heavier the chain, the better! So to help you decide on the perfect Cuban link chain we’ve pulled together a list of our favorite top ten chains! 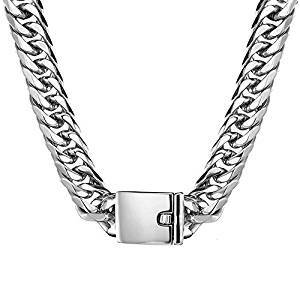 If you want to buy a classic sterling silver Cuban link chain look no further than this one! This chain has been created with the classic Cuban link chain design in mind. The necklace has been made with solid links and a secure linxlock, making sure the chain doesn’t fall off your neck. The designer has taken inspiration from the classic design of the Cuban link chain and has produced pure, classic perfection! Even though it’s not as chunky as some of our other chains, this chain is definitely durable. To guarantee this it’s been made using platinum plated metal with a fine layer of rhodium. This not only gives it that extra strength but also gives it some sparkle and a great shine. Made from sterling silver the rhodium plating also protects the silver so it doesn’t tarnish. Known as being a precious metal, the sterling silver also works wonders in producing a mirror shine that in turn gives the chain a sparkling finish which we love! This open link style chain has been made in Italy and comes in the following sizes – 18”, 20” 22”, 24”, 28”, 30”, 32” and 34”. 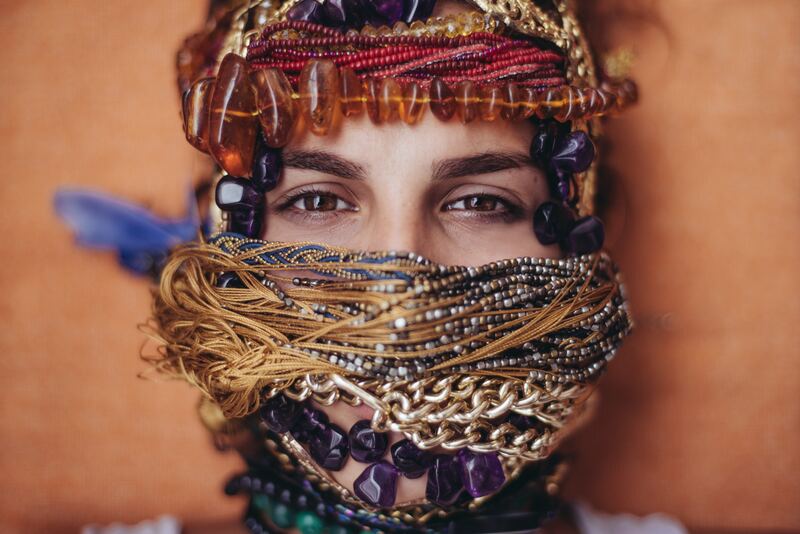 This necklace also won’t harm your skin because the chain is free from lead, nickel and copper which could turn your skin green or irritate your skin. We give this necklace a thumbs up when it comes to your skin! This piece of jewelry is a great chain to wear on an everyday basis because of its classic design. This type of necklace would also look great worn with a matching pendant. 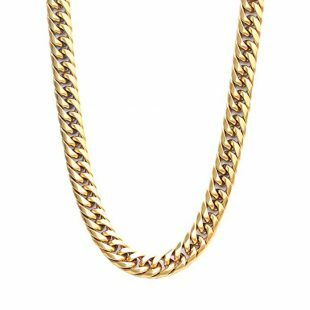 Alternatively if you have a hip hop fashion vibe going on in your wardrobe this chain would complement your outfit perfectly. This Cuban link chain is being sold at a high price but for the design and quality this is a great buy. 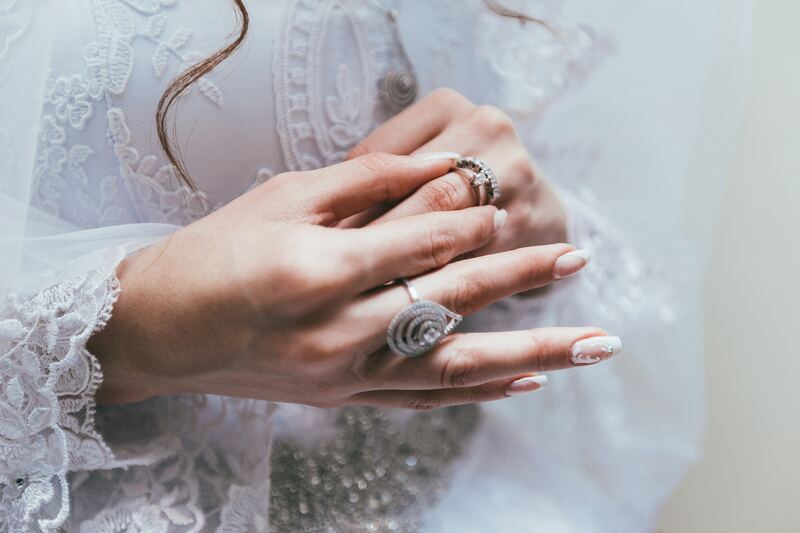 The accessory is sold by Manufacturers Sterling and if you take a look at their collection they know a thing or two about making stunning sterling silver jewelry. 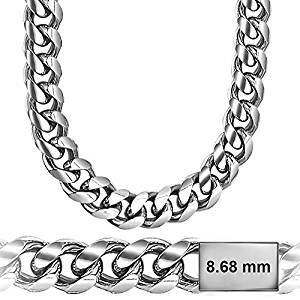 If you’re looking for a lighter chain which is more affordable then this Cuban link chain necklace could be a great option. The necklace is approximately 4mm wide and 14” to 36” in length. The chain is made from long-lasting links and has a smooth functioning clasp. 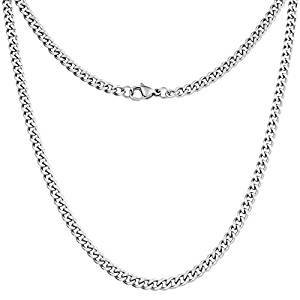 Furthermore the chain is made from stainless steel, making it very durable and long lasting. The steel also has a smooth shine finish which makes this a very attractive piece. 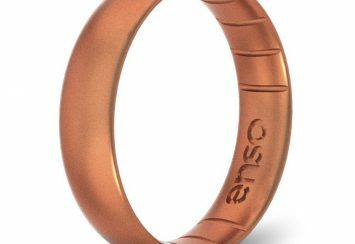 It also weighs between 8g – 30g depending on the length of your chain. All of these design qualities make this a fantastic necklace to buy! When it comes to the length of chain, this necklace comes in the following sizes – 14”, 16”, 18”, 20”, 22”, 24”, 26”, 36”. This chain also requires little maintenance because it is made from stainless steel rather than sterling silver. This means sweat, water and heat won’t harm the piece of jewelry. It can also be stored away without tarnishing occurring unlike sterling silver. What we love about it is that it has a hypoallergenic finish. If you have sensitive skin then you’re safe wearing this beauty. This necklace is a great alternative for you if you prefer a silver tone instead of a gold one. Made by a business called Silvadore, this piece of jewelry comes wrapped in either a branded box, velvet pouch or deluxe branded leatherette box. Your necklace will also come with a free polishing cloth. Thick, heavy and gold is the best way to describe this piece! This 14k gold plated chain has been made using gold plated stainless steel. Not only does this guarantee high durability but it also means that it has been crafted to a high quality. The use of stainless also makes this chain feel like it is solid gold when in fact it’s not. Made from tough stainless steel you can guarantee that the surface of the necklace won’t easily tarnish, making this highly resistant to damage. We’ve also given it a gold star for the design because its size and shine will really make you stand out in a crowd. The seller definitely offers plenty of choice with this necklace as it’s available in the following thickness – 6mm, 8mm, 12mm, 14mm, 16mm and 18mm. Once again this is another necklace that is 100% brass and nickel free so the piece won’t be at risk of hurting your sensitive skin. Each piece of the chain is stamped with 14k showing its genuine value. 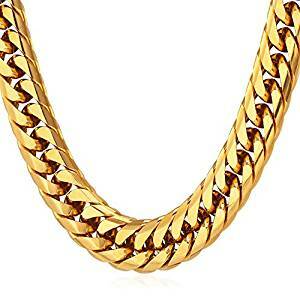 Priced for a low budget this Cuban link chain is definitely amazing quality for the price! It’s also extremely authentic. 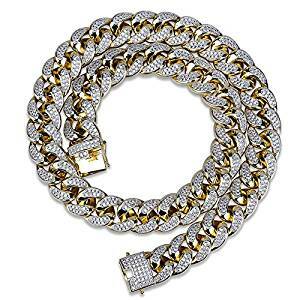 Made by Authentic Bling, this supplier sells a variety of Cuban link chains for you to choose from. Depending on your budget, the style and size you want, they offer something to appeal to everyone! If you want a statement piece of jewelry that you can really show off, this is it! This 18K gold plated Cuban link chain really gives off a chunky hip hop vibe which you won’t be able to miss. This necklace has been made from 18K gold plating, meaning that a thin layer of 18k gold has been placed onto the surface of the chain to give it a realistic and authentic gold look. The base material consists of stainless steel, making the chain very strong and durable. This necklace is 12mm in width, giving it a chunky and heavy look. The chain is also available in 22”, 26”, 28” and 30”. Looking closer at the color of the piece it has a deep gold color to it which makes it stand out and it is also available to purchase in black or stainless colors. Being a masculine style necklace, this chain would definitely look good if you have a masculine physic. This necklace also gives you options as it would look great as a singular piece as well as being worn in a layered style which would emphasize the design. When it comes to packaging this chain is delivered in a black velvet pouch and dark black box, ensuring that it safely arrives in your hands. 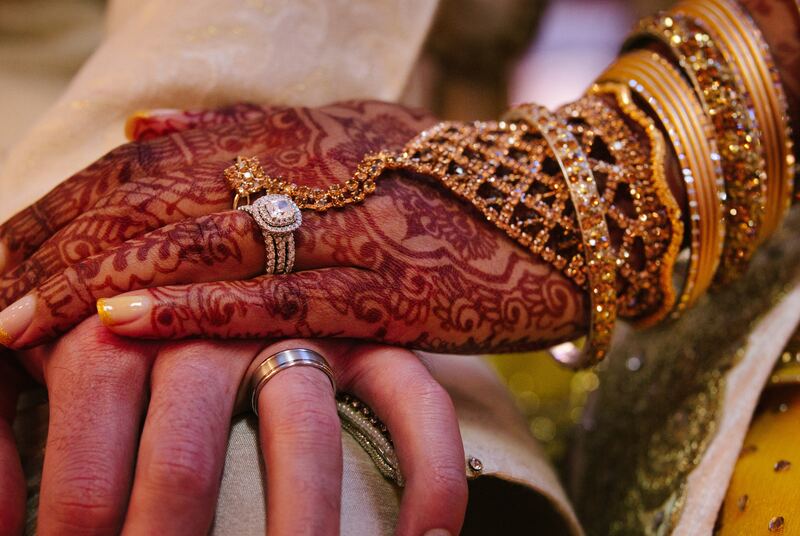 The jewellery also provides you with some useful care tips to be aware of upon purchase. These include storing the necklace in dry box and keeping the chain away from corrosive liquids. This piece has been created by designer U7 who have an extensive collection of jewelry. Ranging from men’s rings, bracelets, necklaces and dog tags to a variety of women’s jewelry, this jeweler certainly likes their gold! If you already have a collection of Cuban link chain necklaces and you’re looking for something slightly different, this TOPGRILLS Cuban necklace offers a fantastic design. This chain has a 14k gold plating finish and the chunky design is completely flooded with Zircon jewels. This is by far a statement piece. You can straight away notice the attention to detail that has gone into this beauty. Each link contains a Zircon jewel that has been set in a micro-pave setting by a professional jeweler. This necklace is definitely perfection at its best! The supplier, TOPGRILLZ, also offer two length options for this chain, 46cm/ 18inches or 56cm/ 22inches which is great if you want to wear two necklaces together! We’d recommend this chain not being an everyday piece. 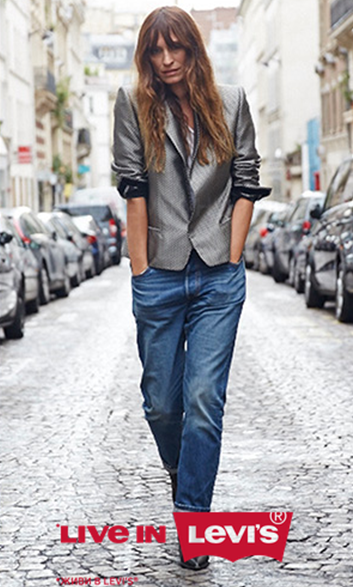 Instead it would be perfect to wear if you’re performing on stage or going to a special event. The design and attention to detail, in particular the zircon diamonds, make a big statement. It’s important to point out that with the added design and added bling of this necklace it is quite a heavy piece of jewelry to wear as well as being very shiny. If you prefer silver chains this necklace makes a great chunky alternative! Made from stainless steel this Cuban link chain is a quality piece of craftsmanship. You can expect this necklace to have a big bold design, weighing 11.5oz. It’s a great size at 16mm wide by 30inch in length. One thing is for sure, this accessory is very big, very bright and very shiny! The stainless steel has been polished to a bright silver tone with no risk of it fading. 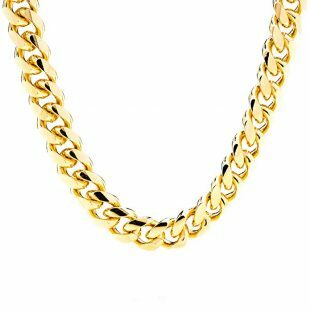 What’s great about this Cuban link chain is that it’s handmade and you can tell from the craftsmanship that a lot of love and care has gone into creating this piece of jewelry. If you do the cool hip hop look well then this piece would look amazing with your outfit. This item has been sold at a low price making it extremely affordable and accessible to buy. The supplier, Jxlepe, has made a lovely piece. They’ve imported German metal with a high-level ion plating to create this piece. 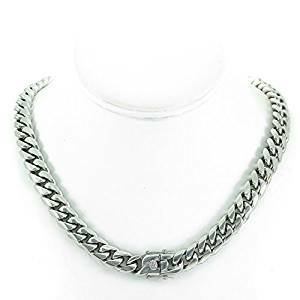 They can also guarantee that the necklace is handmade and browsing at the supplier’s collection of jewelry they continue to offer a variety of Cuban link chain necklaces as well as wolf bracelets and pendants. The collection offers a mixture of gold plated and stainless steel pieces giving you plenty of variety to choose from. This piece offers a slightly different design. Take a look at this classic and stylish twist rope chain. Rather than being worn on its own this chain would look great as part of a layered look. Paired with a pendant or thicker chain, this necklace would complement other necklaces well. 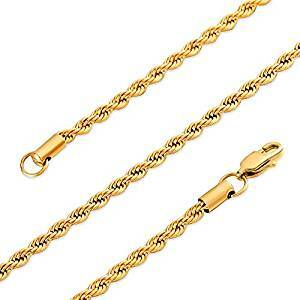 The chain has been made from gold colored stainless steel which is very durable. 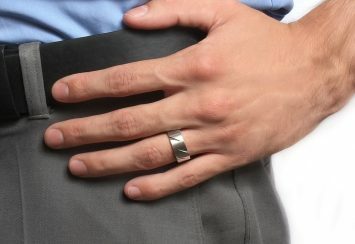 It has a smooth shiny finish and is very light to wear. The great thing about this necklace is that it won’t stain, rust and cannot easily corrode when in contact with water. It’s also allergy free which is what we love to hear! Depending on the look you’re going for, this necklace is available in a number of sizes including 20”, 22”, 24”, 28” and 36”. Sold at a low price this Cuban link chain is a bargain that you won’t want to miss out on! This necklace comes as part of the JINGRAYS collection. It will arrive in a black velvet pouch, which is great for storing the chain in while you’re not wearing it. The velvet pouch will also help the chain to maintain its shiny smooth quality! This necklace would make a great option if you have a higher budget to play with. Made from 24K gold overlay, this necklace is utterly gorgeous. 11mm wide and with an overlay style, the design of this chain really stands out! What we love about this Cuban link chain is that it feels and looks like solid gold even though it’s made from yellow gold plated bronze. When it comes to the cost you know you’re getting it for a great price. This classic style necklace has a smooth and round cut finish and feels rich and heavy when held in your hand. One thing’s for sure, this necklace would complement any outfit in your wardrobe! This special piece has been crafted by Lifetime Jewelry who know a thing or two about making gorgeous Cuban link chains. They are a family run business who pride themselves in making you feel and look your best every day of the week. Their necklaces are made so that they feel and look like gold and resist any tarnishing. Each piece has a quality tag showing its gold mark. This is another of our silver stainless chains which looks utterly gorgeous. This Cuban link chain has been designed with a tight and close link design in mind. Plated inside out this design gives the necklace a solid look which we adore. This piece is excellent quality and is very heavy. What’s great about using stainless steel is that it is a high quality material and is very resistant to tarnishing, corrosion and rust. It’s also one of the most bio-compatible metals which means it’s hypo-allergenic. This piece makes a great fashion accessory and would complement any wardrobe on a daily basis. The chain has a very contemporary and sleek style to it which we really like! This chain comes in a variety of sizes including 18”, 20”, 24” and 30”. If you like wearing chains the supplier also gives you an option to buy a matching bracelet. Made by Bling Bling NY, this chain definitely looks more expensive than it really is. If you opt for buying a bracelet as well, these two pieces look great together. The chain is very shiny and the clasp is very sturdy ensuring your precious chain doesn’t fall off your neck and get lost. This is a great buy! We’ve left the best until last with this striking Cuban link chain necklace. Full of shimmering diamonds this really is a statement piece to watch out for! Being 12mm in thickness, this chain has been created with a chunky design in mind. Depending on the length of your chain the weight of this beauty will vary from 50 – 250 grams, making it a heavy accessory to wear. However we think it is well worth the weight when it comes to the design. The chain has been made with stunning diamonds, in a micro pave setting. The chain has also been stamped with a 14k marking, showing its genuine value. Plated with 14k gold over stainless steel this piece is not only durable due to the stainless steel material but also beautiful because of its gold quality. The length of this chain ranges from 18 – 30” in length meaning that you can wear this either as a long chain or a choker. The designer, Harlem Bling, has definitely done well in designing a piece that has plenty of bling and could be described as being so icy it could blind you! 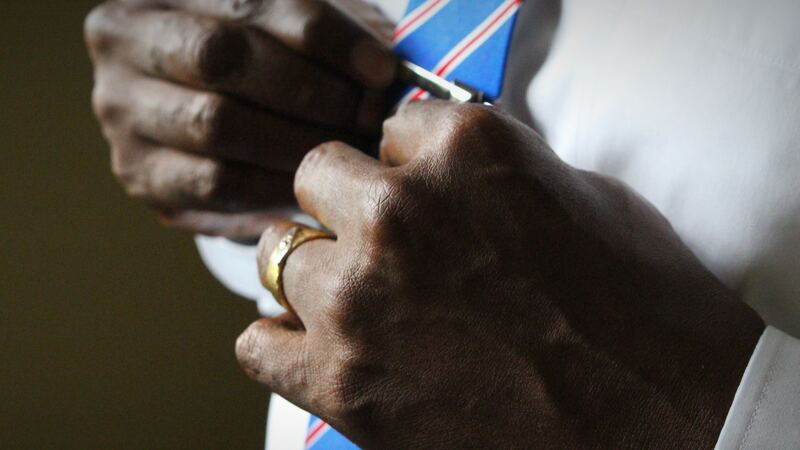 Wearing your chain – You should always but your chain on in the morning and remove it before you go to bed. Never wear your chain while in bed asleep because this could damage the chain and hurt your neck. It could also cause tangles in the chain. 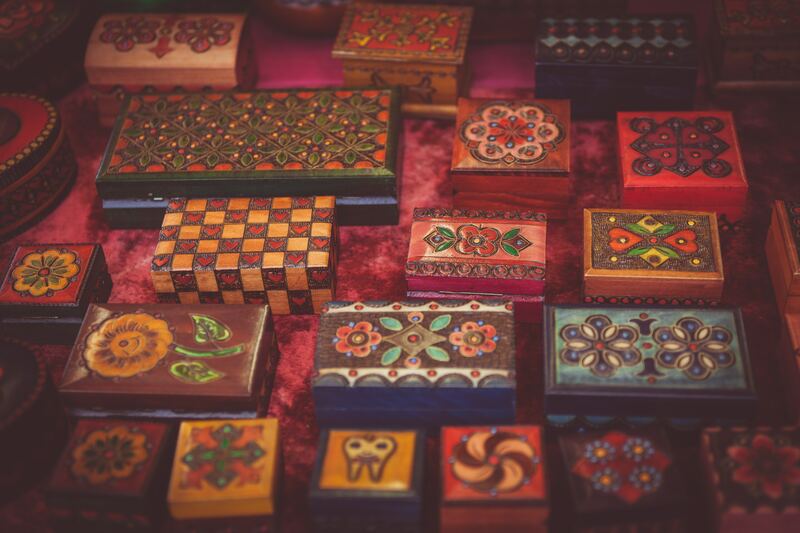 Prevent tangling – The best way to prevent any tangling in your chain is to store it in a velvet lined tray or box. This will remove any risk of your necklace getting damaged. Caring for your chain – If your chain becomes hard to work with or stiff, one of the best ways to care for your chain is to place a small amount of olive oil on it. This will help to loosen the chain so it’s comfier to wear.